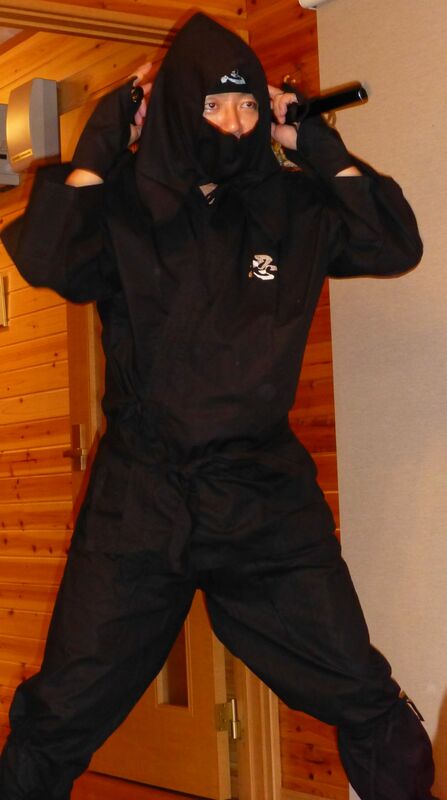 Let’s transform to cool “SUPER NINJA” !!! 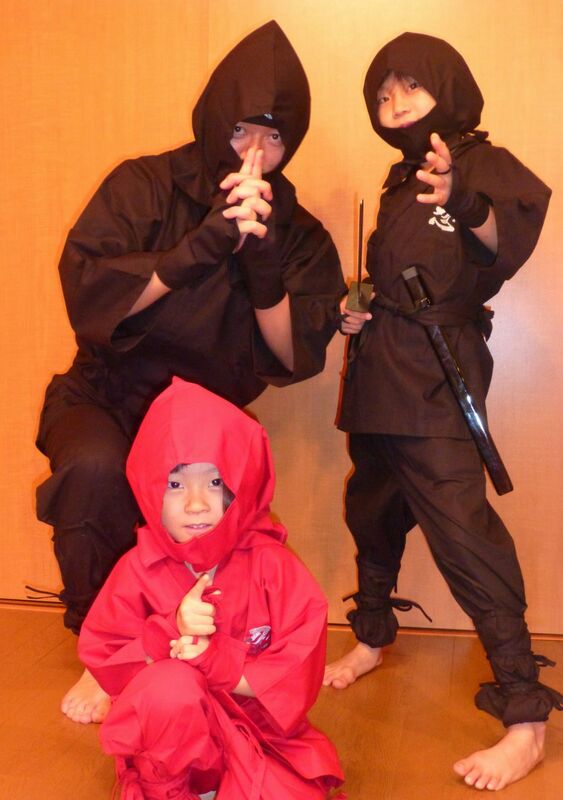 You are not just “NINJA”. 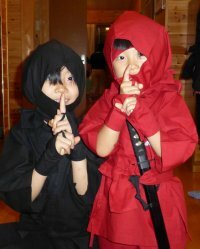 If you dress up this suits, you will be the special “SUPER NINJA” !!! 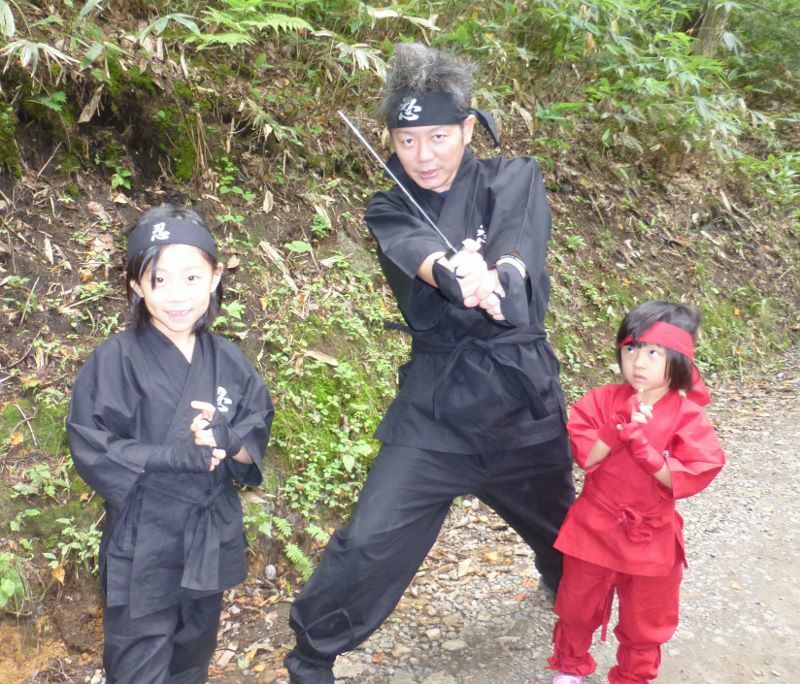 You are not just "NINJA". 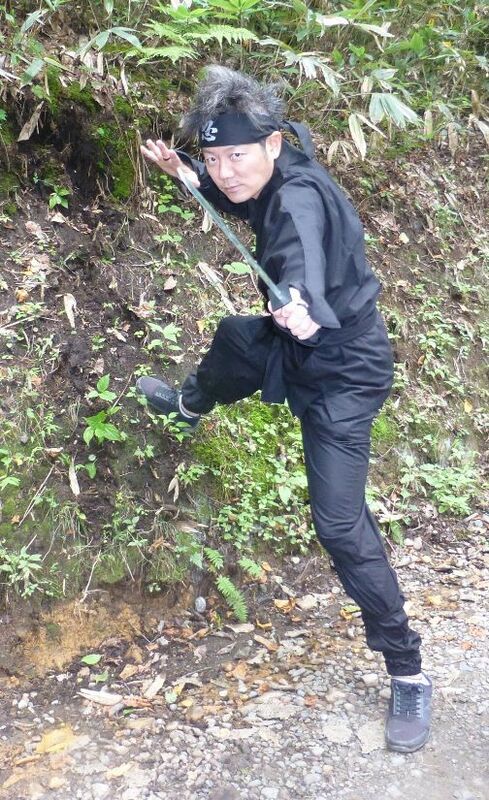 If you dress up this suits, you will be the special "SUPER NINJA" !!! Model is wearing L size. 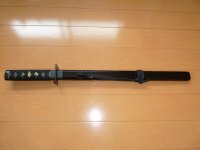 "NINJA" sword is not included. This suits is made of 100% smooth cotton. Wash cold water and keep separately from other products because of possibility of discoloration. Dried in the shade immediately fixing the shape after washing up. Avoid the use of bleach and tumble dry. This product is easy to transfer due to friction, water and sweat, therefore, avoid wearing combined with white things or thin colored things. 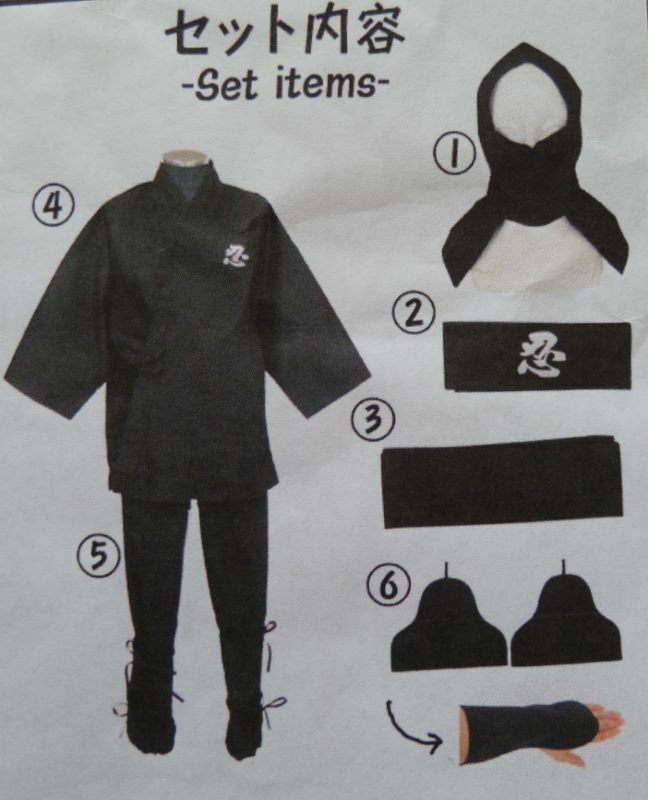 *"NINJA" sword is not included in this set. There is Kid's size, too. You can adjust the width of waist with the thin cord. 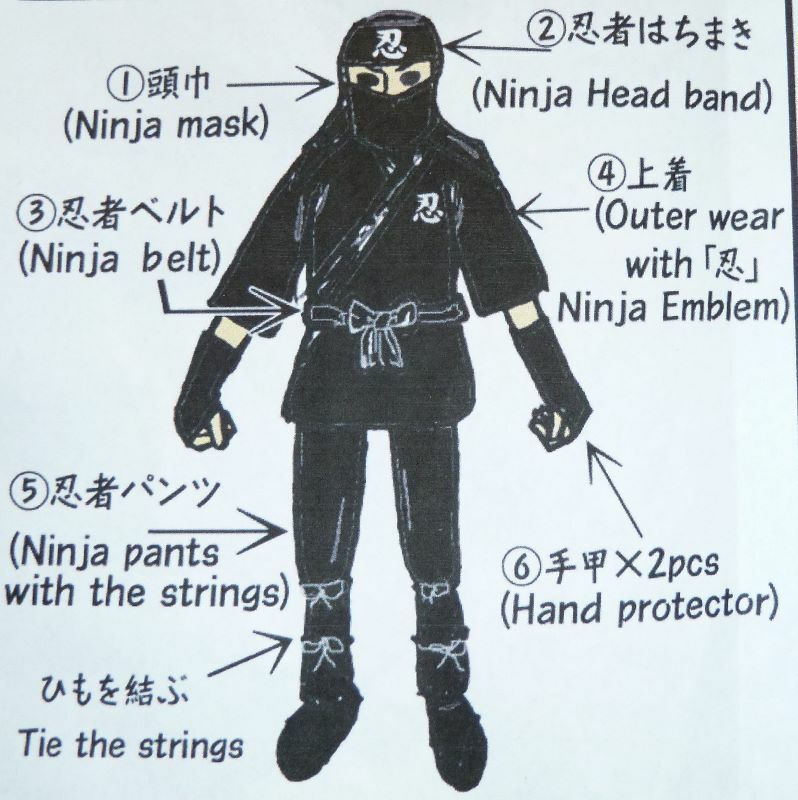 In addition, you can adjust the length of the pants with the strings. 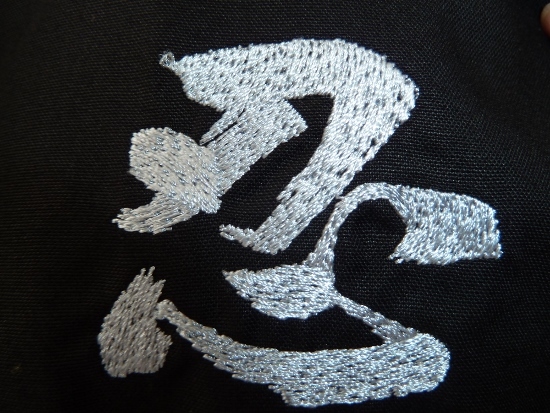 A gray embroidered emblem of the head letter of "忍者（NINJA)" on the part of the left chest.